Home - Nancy ColierNancy Colier | LCSW, Rev. Nancy Colier is a psychotherapist, interfaith minister, author, public speaker, mindfulness teacher and relationship coach. A longtime student of Eastern spirituality, mindfulness practices form the ground of her work. She is the author of The Power of Off: The Mindful Way to Stay Sane in a Virtual World (Sounds True Publishing), Inviting a Monkey to Tea: Befriending Your Mind and Discovering Lasting Contentment (Hohm Press) and Getting Out of Your Own Way: Unlocking Your True Performance Potential (Luminous Press). Nancy is a national speaker on wellbeing, mindfulness and technology, and has been featured on Good Morning America, Fox and Friends, RT America, in The New York Times and countless other media. She is also a regular blogger for Psychology Today and Huffington Post. 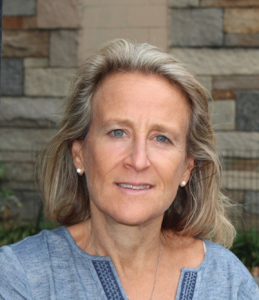 In addition, Nancy spent 25 years as a top-ranked equestrian on the national horse show circuit and serves as a performance consultant to professional athletes and artists. She is available for psychotherapy, public speaking, workshops, mindfulness training, and spiritual counseling. 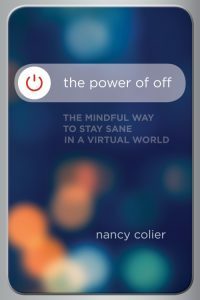 THE POWER OF OFF: The Mindful Way to Stay Sane in a Virtual World: Effective mindfulness practices for transforming your relationship with technology and reconnecting with your real life. Publishers Weekly review for The Power of Off. Our reliance on technology is rapidly changing how each of us experiences life. We’re facing new issues and difficulties, we’re encountering new emotional triggers, and we’re relating to each other in new ways. As Nancy Colier writes, “How we spend our time, what motivates us, and what we want are all are on a radical course of transformation.” The promise of technology is that it will make our lives easier; yet to realize that promise, we cannot be passive users—we must bring awareness and mindfulness to our relationships with our devices.